Surveyors working along the tracks at the Harmon Shops, circa 1906. Courtesy of Carl Oechsner. Click the image to enlarge it. 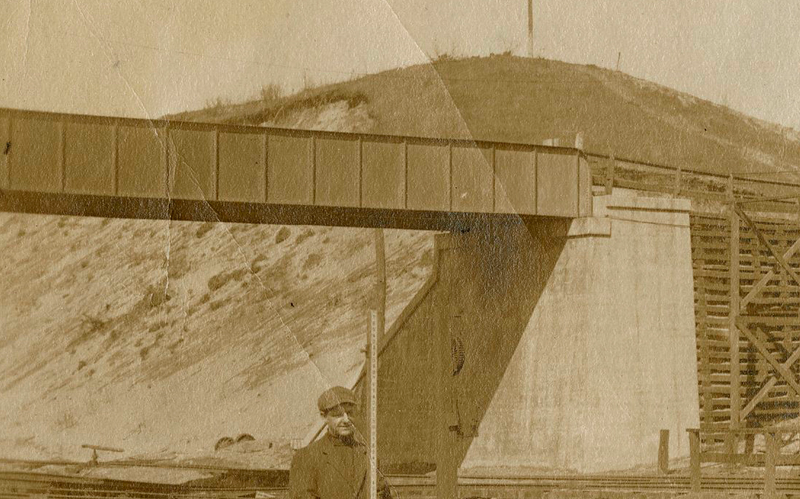 Sometimes what’s most interesting about an old photograph is a tiny detail, not necessarily the main image itself. This photo is a perfect example. In the foreground we see two surveyors, working along the tracks at the Harmon Shops, circa 1906. Behind them—hard to make out because of the damage to the print—are some workmen leaning nonchalantly on a wooden railing. 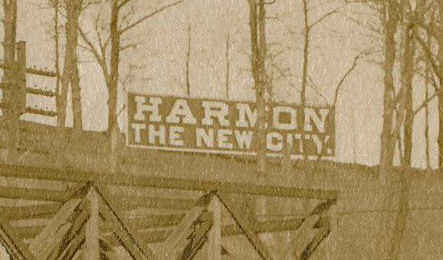 Below are links to some previous posts about Harmon’s innovative marketing campaign, but before we get to that there’s another significant detail in the photo. 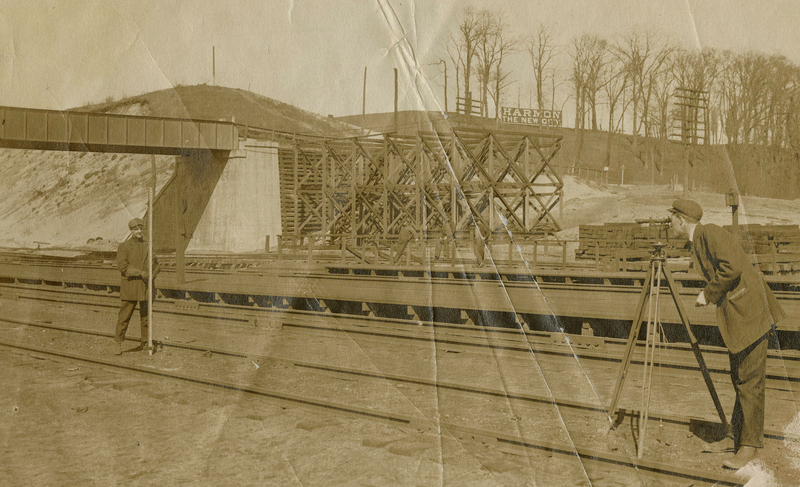 Sand dune at the Harmon Shops construction site, circa 1906. Behind the bridge on the left you can clearly see an exposed sand dune in the area where the upper parking lot is today. Although it looks like an isolated feature it’s not. The flat land for the entire Harmon Shops facility was created over a period of almost a century by removing a massive amount of sand and gravel which once formed the “neck” of Croton Point. For another view of what was still left of the “neck” take a look at the first photo in this post. See the sand dune behind the Harmon Shops? Most of that land is gone today. Here are the links to previous posts about marketing Harmon. Many thanks to Carl Oechsner for sharing this rare photograph.